Currently it's not possible to assign a default dashboard to appear on each Profile's home page. This feature will be specially handy when you have to roll-out a new dashboard to a large group of users. The same settings could be used by the application to display a default dashboard first time user clicks on the Dashboard tab. It is now possible to create different Home Pages, and assign them to different Profiles. On home pages in Lightning, you are able to add separate Report Charts, instead of a complete Dashboard, giving more flexibility. Count me in for one more pointless, useless destined to be ignored forever vote for a feature is utterly rediculous not to have. Status update please. Which release is this enhancement targeted for and what will the capabilities be? This is still a huge need and has been 8 years in the making! Please update us with when we can expect this, thanks! This is a must have! 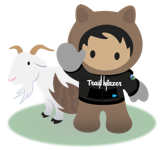 Building reports in Salesforce seems to confuse every sales person in the organization and it would be great to assign a snapshot to give them a top line view of sales, activity and opportunities etc. This would be super useful. Surprised it's not already included. We would also like to have this so our sales people can easily see what is going on with their accounts. This limits our use with Remedyforce and is a must have. Hopefully the new capabilities provide this and much more. The comments are correct. This would be a great addition to standardize the application of a dashboard to profiles. Unless you started using profile dashboards right away it would be very time consuming to go back and add the dashboards to each user or if you don't have that feature unlocked having to request users add their own dashboard. I am in the latter category. I am adding these in after our third year...which means MANY users.